Graeme is an accomplished singer/songwriter and producer who was nominated as Queensland club entertainer of the year for 2006. Graeme is currently working a on a brand new album with some exciting new material, co-writing with Swedish songwriter Lars.E.Carlson. 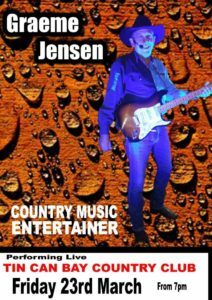 His Talent ant good fortune has seen him perform at Tamworth, the Gympie Muster, and the Gore Country Music Festival in New Zealand. He’s also had the honour of supporting Beccy Cole, Gina Jefferys, Chad Morgan, Tania and Lee Kernaghan, Adam Harvey and The Wolverines. 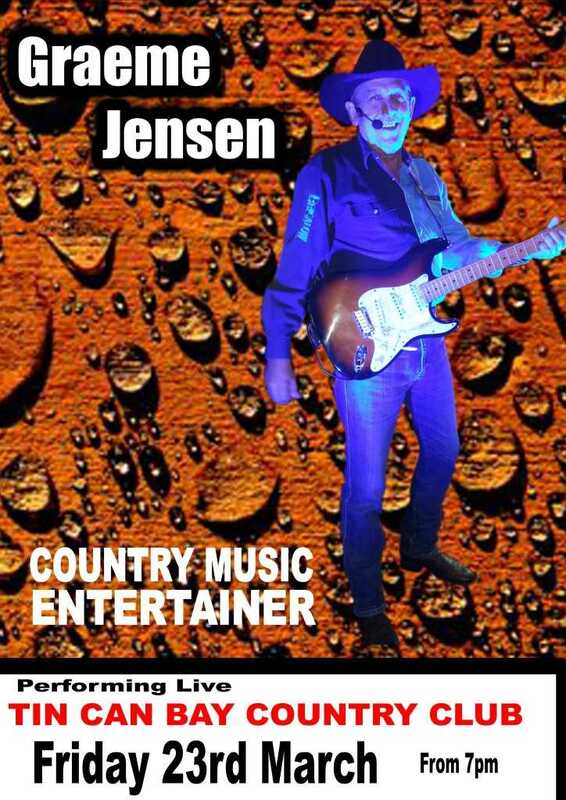 See him live at the Country Club on March 23. Need some books or maybe some furniture?